The Callas Blog has published an article about the necessity of «context aware” preflight. The new «Sifter» technology in Callas pdfToolbox 10 allows to analyze PDF objects in their context. See also my article A Quantum Leap in Preflight!. If the black text is places over a colored background (left), overprinting is important to prevent white flashes in case of register inaccuracies in the printing machine. If the text has no background (right), it does not matter whether it is set to overprint or knockout. As reported recently the PDFX-ready Online Tools are discontinued per 25.10.18 12 p.m..
PDF Preflight can be performed identically with the preflight profiles from PDFX-ready for Adobe Acrobat Pro (and Callas pdfToolbox). The only difference is the preflight report which had some additional information about the PDF and a much nicer design. Responding to serveral demands PDFX-ready made available the template of the enhanced Preflight report for download for users of Callas pdfToolbox. Enfocus released a major upgrade to its personal automation product line, Enfocus Connect 2018. With this release, designers, and print service providers get a collection of powerful, and customizable, PDF tools to help with the creation, preflight, and delivery of quality PDFs for print. Enfocus Connect 2018 focuses on providing a cost effective toolset to help anyone involved in creating, quoting or producing PDFs for print. Connect 2018 offers a collection of pre-set personal workflow applications that can perform a variety tasks such as adding bleeds, checking image resolution (quality), scaling documents, and more. 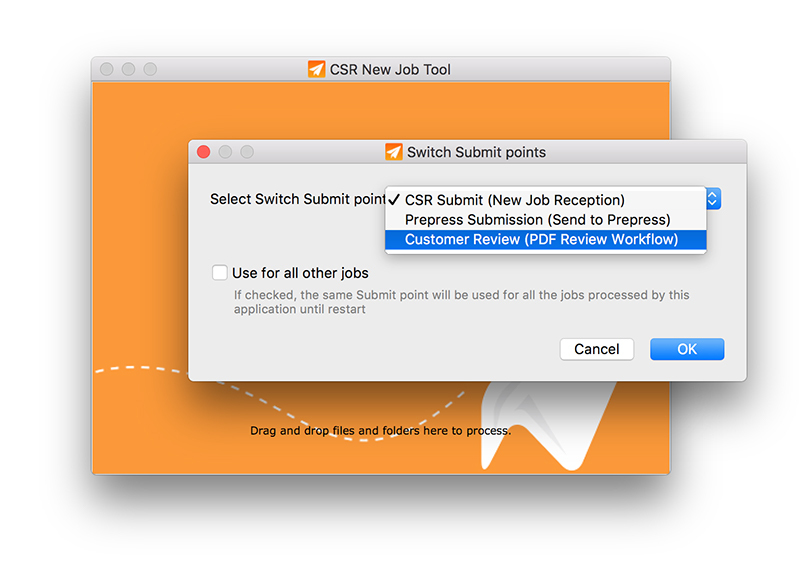 In addition, Connect 2018 has an all-new backbone which includes compatibility with Enfocus Pitstop Pro 2018, and 64 bit compatibility for the new MacOSX, and a new web engine improving web form compatibility for HTML job tickets. Axaio has also added support for PDF Processing Steps to their Illustrator plug-ins MadeForLayers and MadeToPrint. 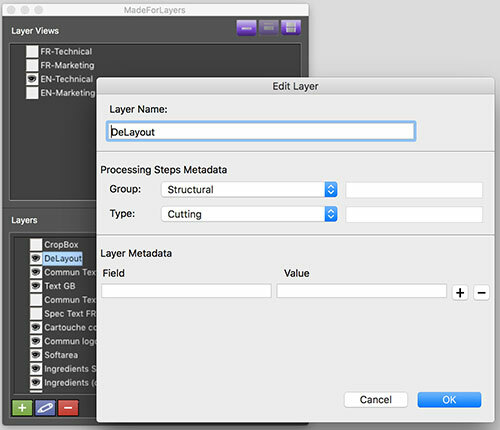 Already last year the InDesign plug-ins have been enhanced with PDF Processing Steps features. PDF Processing Steps were defined by the Ghent Workgroup and will soon be releases as ISO standard 15993. PDF Processing Steps allow standardized identification of non-printing objects in packaging files (e.g. dieline, braille, varnish, folding) and help automating production.